Ready to earn your School Nutrition Specialist (SNS) Credential? Take the exam at #SNIC19. Registration, approval and payment must be made in advance and cannot be done on site. Visit www.schoolnutrition.org/sns to register or email certSNS@schoolnutrition.org. 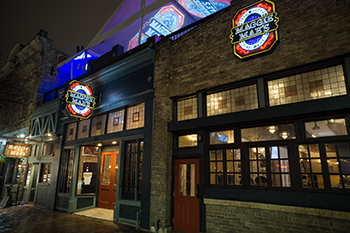 Kick off the conference and “party with a purpose” at one of the most iconic spots in Austin: Maggie Mae’s. Enjoy panoramic views of the city’s breathtaking skyline from the exclusive Rooftop Deck with Cabana Bar. Allow us to welcome you to the Texas state capital with local music and signature starters and drinks before you head out on your own. In an effort to raise awareness about the School Nutrition Foundation (SNF) and increase the percentage of individual giving by SNA members, the Foundation will have a larger presence at all of SNA’s national conferences throughout the year, including #SNIC19. Look for us at the Maggie Mae’s event and learn more about our Party With A Purpose! Catch up with old friends, meet new colleagues, reconnect with industry partners and network while enjoying a delicious lunch. Enjoy a delicious buffet lunch, network and make sure to visit all the tabletop displays placed around the room. Your industry partners are here to show you a variety of products, services and the latest technology available to help you take your school nutrition program to the next level.